The Centre’s inability to meet its ambitious target of installing 175 GW of renewable energy by 2022 is likely to hit the sector’s huge job potential—estimated to be over 300,000, as per the recent ILO report titled World Employment and Social Outlook 2018: Greening with Job. 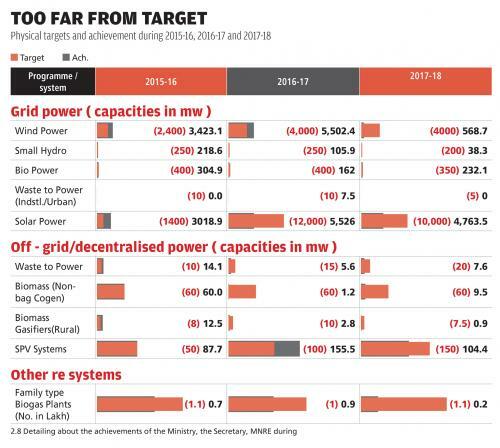 The Centre has failed to meet the renewable physical targets in the past two years. As per a Parliamentary Standing Committee Report, just 9.5 per cent of the rooftop solar target has been met so far, even though the sector has the potential to create maximum green jobs in the renewable sector. Rooftop solar power is more labour-intensive than other renewables, with a potential to provide 24.72 job-years per MW in comparison with 3.45 job-years per MW for ground-mounted solar power and 1.27 job-years per MW for wind power, says a June 2017 report titled Greening India’s Workforce: Gearing up for Expansion of Solar and Wind Power in India. Of the 10,000 MW target for installed rooftop solar power capacity by 2017-18, only 953 MW has so far been achieved, suggesting a gap of 90.5 per cent. Over 300,000 workers will be employed in the next five years to achieve India’s solar and wind energy targets, mostly in the rooftop solar sector to meet the government’s ambitious 175 GW renewables target by 2022. An additional 45,000 jobs will be created to fuel the domestic solar module manufacturing industry, says the June 2017 report by the Council on Energy, Environment and Water. As per the latest government estimates, 390 million people—or 83 per cent of the total workforce—are employed in unorganised sector. So, if India attains its renewable targets, it will reduce the country’s carbon footprint and at the same time partially address the unemployment challenge. This is important as the country has seen over 480 student protests in 2016, which is close to 40 protests a month. This is worrying as close to 35 per cent Indians are young (15-34 years). Rooftop solar power’s massive job potential untapped: The success of this depends entirely on Grid Connectivity becoming a practical reality. It is the major hurdle. 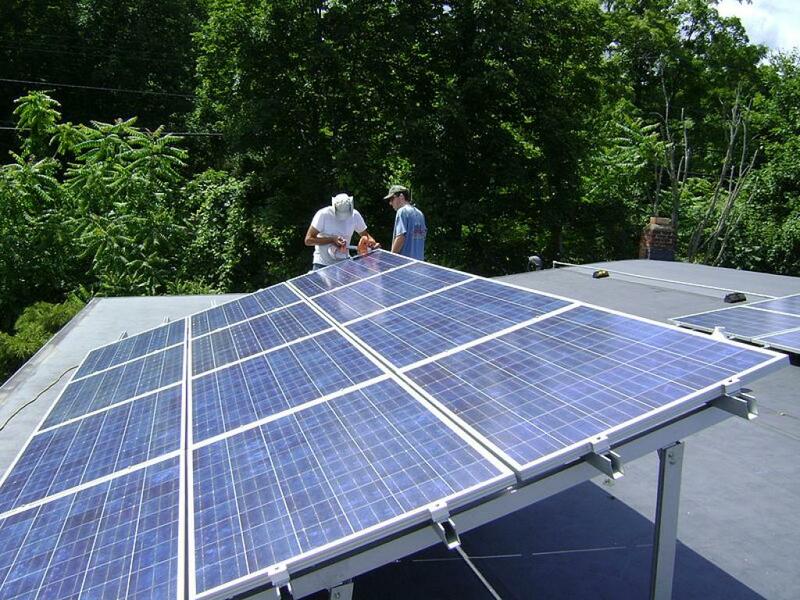 Depending upon Storage acid batteries is the present solution, which is not a healthy practice. You have to tackle Lead pollution in large scale. Without easy hassle free grid connectivity this will not grow despite your claim of providing large scale employment.